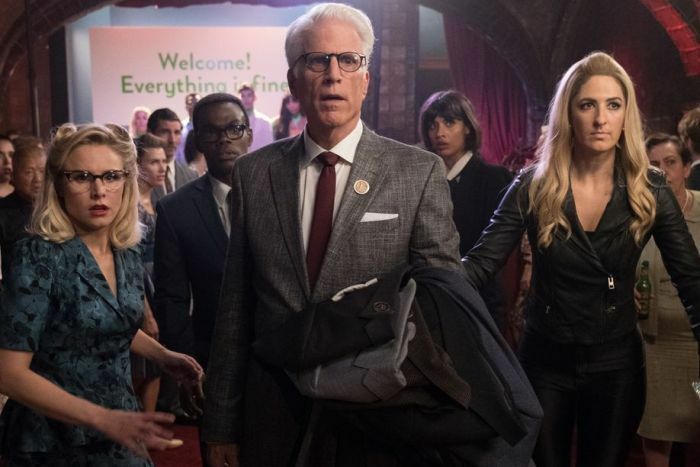 “Everyday the world gets a little more complicated and being a good person becomes harder,” says Michael, the supernatural architect played by Ted Danson, in The Tale of Two Dougs (season 3, episode 11). The royal commission’s final report says something to this effect in its tale of two bank boards — of NAB and Commonwealth Bank — that failed in their primary duty to police actions that ripped off customers. As the Australian Stock Exchange’s Corporate Governance Council has pointed out, boards are increasingly called on “to address new or emerging issues including around culture, conduct risk, digital disruption, cybersecurity, sustainability and climate change”. I’ve had the opportunity to discuss governance failings and potential improvements with hundreds of Australian and global corporate leaders, including directors from Australia’s 10 biggest companies. Most of these organisations operate as “islands of excellence”. They are really good in parts, but can’t bring it all together. One member of a board of a big four bank has told me of several billion-dollar transformation projects intended to correct these known problems that “haven’t made a difference”. “Without the right information,” the royal commission report rightly states, “a board cannot discharge its functions effectively”. But it does not “offer any single answer to how boards can ensure that they receive the right information”. It merely asks leaders to “keep considering how to present information about the right issues, in the right way”. At the Australian Institute of Performance Sciences we’re working on a summit to bring together the top 50 corporate, investment and government actors in the Australian economy.